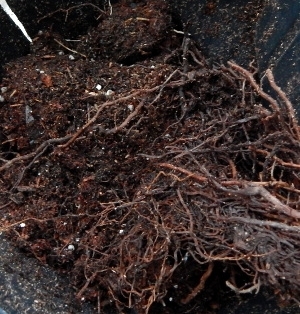 There's lots of talk about good soil fungus and bad fungus and what might be done about improving good ones. It's hard to figure out what is talk and what is actually happening. Robert Kourik can help make clear some of the dirt around the roots. There are amazing beneficial fungi that promote the healthiest roots of California native and agricultural plants. Nearly all plants, especially trees, need this symbiotic relationship for superior growth. Almost all California perennials, native trees and shrubs form this mutally-beneficial relationship. 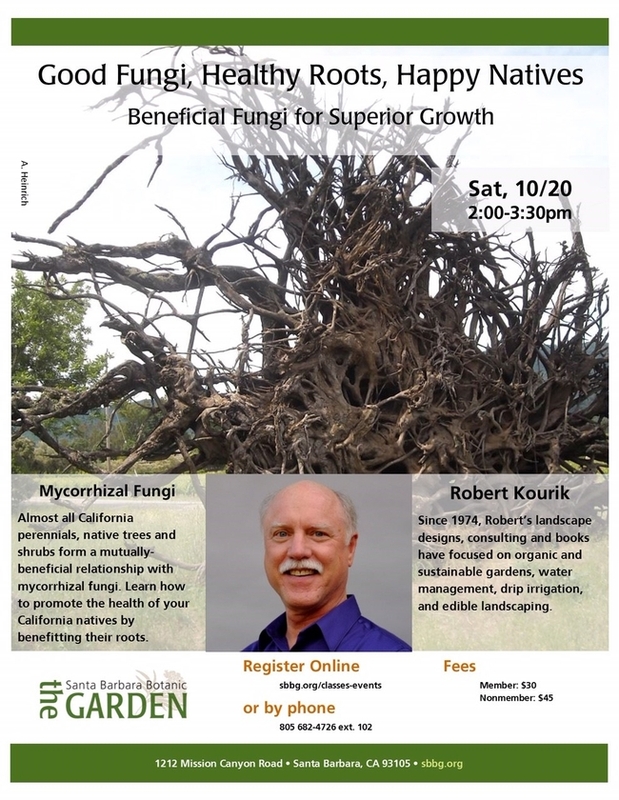 This lecture will explain what the relationship is (called mycorrhizal association), where in the roots it happens, how to promote it, how it increases yields and whether or not purchased inoculants are needed. The roots of native plants, landscaping plants, and fruiting trees will be covered. If you got time, stop in and hear the talk.